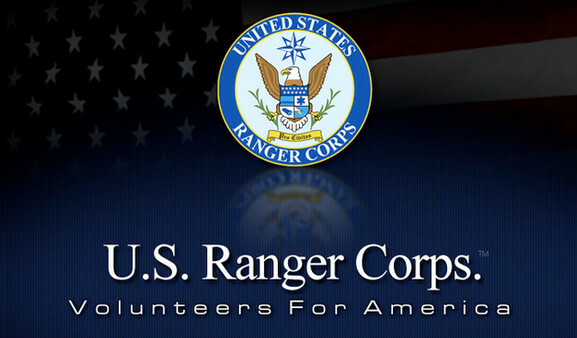 The United States Ranger Corps (USRC) is a newly formed civilian not for profit organization comprised of volunteers who are dedicated to community service across the nation. The USRC’s mission is to aid and support civic, community and government entities with additional manpower and member resources when and where needed. There are many fine community and volunteer organizations who contribute greatly to the quality of life here in the United States. We respect and salute their efforts and accomplishments and encourage your support of their efforts. So why another volunteer organization? Simply stated, in recent times, most all of these organizations have needed help and assistance of some kind in accomplishing their missions and aiding in their causes. Not being locked into a singular mission or cause, the USRC membership has the flexibility to make itself available to be of help to other organizations and government when the need arises for additional manpower in order to help them accomplish their respective missions and tasks, especially in times of emergencies such as natural disasters. This is what makes the USRC unique in it’s approach to volunteer service. The founding members of the USRC are all Honorably Discharged and/or retired US Military veterans who have served in the different branches of the US military services in time of war as well as in peacetime. In addition, to date the founders have a combined over 200 years of volunteer service with other civic organizations. This, along with executive work experience, enable the founders to lay a foundation for a successful new organization. Recognizing the many needs of our country during these difficult economic times, this group of veterans have come together to form the USRC in order to put forth a unified, organized and diverse effort to provide volunteer service to the communities in which we live. Membership is open to all who wish to serve in volunteer service through the USRC to our Nation and communities in which we live. We welcome and respect diversity. You do not have to be a veteran to join, but we especially welcome US veterans because of their past service to United States of America and the varied expertise they bring through their military service and training. The more diverse our membership, the more capabilities we as a volunteer organization have to offer the those we wish to serve. Please consider the USRC as a way to offer your expertise and capabilities in volunteer service in the area in which you live. If you like the challenge helping build a new organization and being a part of something new and worthwhile, the USRC may well afford you the opportunity to make a significant contribution through volunteer service with our organization. We are now accepting Charter Member applications. Be the first to comment on "United States Ranger Corps Launches"